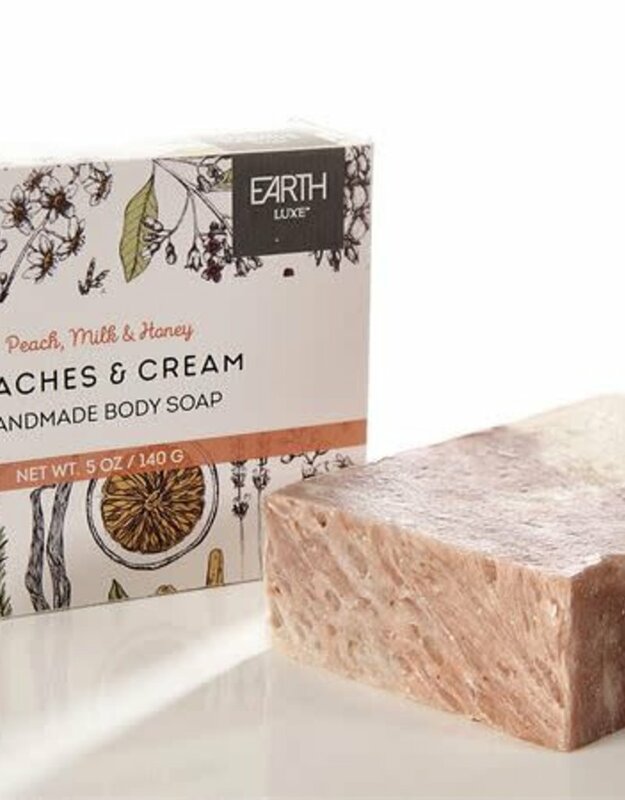 With its luscious freshly picked peach scent, this soothing soap blends Peach Puree, Goat's Milk and Moisturizing Honey with Olive Oil, Coconut Oil, Palm Kernel Oil, Grapeseed Oil, Sodium Hydroxide, Cocoa Butter, Oxides, and Fragrance Oil. 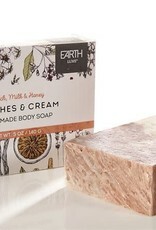 With the exception of fragrance oils, all other ingredients are natural. Made in the USA.